Keeping your home neat and tidy can be a challenge. You probably don’t have a lot of time to spare once you get home from the office, and you probably don’t want to spend your weekends scrubbing, polishing, and dusting your way through your home. Fortunately, we have a solution. Our residential housekeeping services are designed to get your space looking its best while leaving you with the time you deserve to do the things you love. Maintaining a household can take hours each week. Why struggle to make time to clean when our team can tackle all of your household needs? From windows to flooring to furniture, we’ll get your space looking spotless while you relax, go out, or do whatever it is you enjoy. Don’t spend every spare minute you have cleaning your home. All it takes is one call to Green Elite Cleaning Services, and you’ll be well on your way to a neat, tidy space without having to lift a finger. Contact us today for more information about our residential housekeeping services or to schedule an appointment. A clean, well-kept office helps employees stay motivated and content. Treat your employees and your business to a spotless interior with comprehensive office cleaning services from Green Elite Cleaning Services. No matter the size or layout of your company, we can get your office looking its best without disrupting your schedule. At Green Elite Cleaning Services, we believe in going above and beyond for valued clients just like you. Our dedicated team of office cleaning professionals is ready to work its magic on your space. Whether you need daily, weekly, or monthly cleanings, we can create a package that works for you. And because we value your business, we take a thorough, detail-oriented approach to all we do. Trust the team at Green Elite Cleaning Services to get your office looking spotless. For more information about our office cleaning services or to schedule an estimate and discuss your specific needs, call us today. Are you tasked with managing a commercial space? Keeping your commercial property neat and clean is an integral part of maintaining your facility, improving productivity, and attracting and retaining customers. So if you need a thorough, reliable commercial cleaning service to come in and keep things tidy, turn to Green Elite Cleaning Services. We offer a variety of packages designed to suit your needs and keep your facility looking its best. 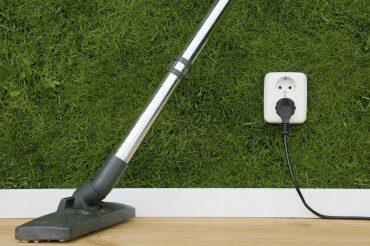 Maintaining a clean, healthy environment for your New York, NY employees and customers is an important part of your responsibility as a business owner. And with Green Elite Cleaning Services, it’s easy. Our carefully selected cleaning professionals pride themselves on providing outstanding and attentive service, and our commitment to quality ensures that no detail goes unnoticed. You can expect fresh, sparkling bathrooms, an aesthetically pleasing lobby, and tidy, healthful work spaces for your valued employees. At Green Elite Cleaning Services, we work hard to keep our customers happy. No matter the size of your commercial property, we have the manpower, equipment, and skills to clean it thoroughly. From windows to floors to everything in between, our team can do it all. And because we value your business, we go out of our way to keep our rates reasonable and affordable. We understand that our customers’ satisfaction is paramount to our success. We adhere to rigorous quality standards to ensure that our service never disappoints. And because your feedback is always important to us, we make it a priority to ensure efficient, effective communication between our team and yours. Don’t miss an opportunity to make a great first impression. Put your best foot forward with commercial janitorial services from Green Elite Cleaning Services. Call us today for a consultation.